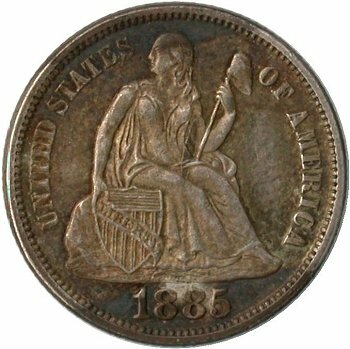 Comments: An allusive 1885 variety with repunching clearly visible on both the 1 and 8 digits. 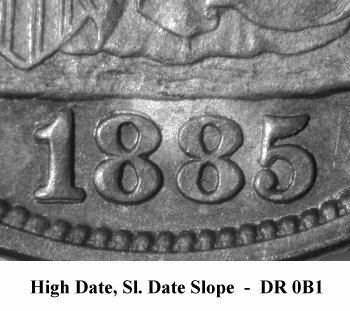 The repunching on the 1 digit is visible above the flag and below the base of the foot. 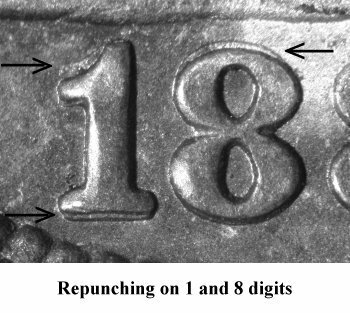 Repunching on the 8 digit is clearly seen above the top loop. 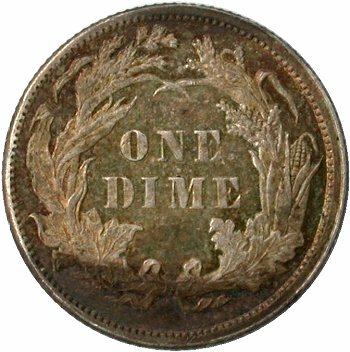 Few examples of this repunched variety have surfaced since publishing the seated dime web-book. The author is only aware of three examples including the Tim Cook coin, which is the finest. As a result, the rarity rating for Variety 105 is increased to R-6 effective June 2012.